સ્વામી નારાયણ સંપ્રદાયના સાધુ શ્રી જય મંગલ સ્વામીએ તા. ૧૨-૦૯-૨૦૧૦ના, કચ્છ કડવા પાટીદાર સમાજ, (હાલ નામ: કચ્છ કડવા સનાતન પાટીદાર સમાજ) જયપુર, રાજસ્થાનમાં તેમના પ્રવચનમાં ચોખ્ખું કહ્યું કે પીરાણા સતપંથ ધર્મ એક મુસ્લિમ ધર્મ છે, હિંદુ ધર્મ નથી. વેદોનો હવાલો આપતાં કહ્યું કે, દફન વિધિ એ હિંદુઓના સંસ્કાર નથી. હિંદુઓમાં અગ્નિ સંસ્કાર હોય છે. તે વખતે તેમને સંભાળવા પ્રખર સનાતાનીઓ જેમ કે શ્રી જેઠાભાઈ ચૌહાણ પરિવાર વગેરે પણ હજાર હતા. Swami Narayan sect’s Sadhu Shri Jay Mangal Swami on 12-Sep-2010 at Kutch Kadva Patidar Samaj, (Presently called as Kutch Kadva Sanatan Patidar Samaj) Jaipur, Rajasthan, gave a speech. In his speech is clearly said that Pirana Satpanth Religion is a Muslim religion and not a Hindu religion. Burial ritual is not a Hindu ritual. According to Vedas, in Hinduism “Funeral” ritual is performed. Prominent Satpanthis like Shri Jethabhai Chauhan & family were also present to hear his speech. પ્રવચન ૭:૩૦ મીનીટ લાંબુ છે. તેમાં ૫:૨૨ મીનીટથી લઈને ૫:૪૮ મીનીટ ની વચ્ચે પીરાણા સતપંથ ઉપર સાધુશ્રીએ ઉપર જણાવ્યા પ્રમાણેને વાત કહી છે. The speech is about 7:30 minutes long. Swamiji has mentioned about Pirana Satpanth between 05:22 to 05:48 minutes. આ માહિતી અને વિગત માને આપણાજ એક ભાઈએ મોકલાવેલ છે. 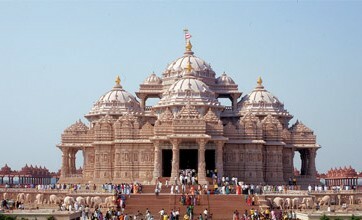 તે બદ્દલ તેમનો ખુબ ખુબ આભાર. This information and voice recording has been sent to me by one of our Sanatani brothers. Sincere thanks to him. tame su kehava mango chho, 100 karore hinduo khota chee ane tame khoba jetla satpanthio(Miya,mumna) sachha chhe? Here I am giving the URL code, why we (satpanthis) are following the Bhumidag. I sincerely request all to please read it carefully. Also I request the person who had posted this video to inform Shri Jai Mangal swami about this link so that he also have some respect about the VEDAS. The link given by you is not as per Hindu Vedas. It may be as per Satpanthi Vedas. Your link containing the interpretation of some shlokas is completely wrong and baseless. This is already been proved earlier also. For some examples see http://www.realpatidar.com/a/series9. It is well known fact that the Antim Kriya sanskar is not covered in Atharv Ved at all. Since you believe only in Atharv Ved (Satpanthi version and not Hindu version), you have been taken for ride by your religious preachers. My forefathers were also practicing Satpanth religion and I know how these religious leaders of Satpanth fool people to carry on their business. I do not want to harm your religious sentiments, but this is fact. Once you are out of Satpanth religion, then you will know what the real Hinduism is. The whole Hindu community, which is more than 100 crores, follow Agni Sanskar, then why a small group of less than 5 lacs, falsely claiming to be Hindus, follow Bhumidag. Why don’t you think on this? The information provided in the link you gave, is false and misleading. You mentioned about some small groups doing Bhumidag. Most of them are already covered in the 5 lacs figure mentioned above. Some fringe groups may be doing Bhumidag, but they do no do so because of the interpretation you have given. There are some other reasons for doing so. 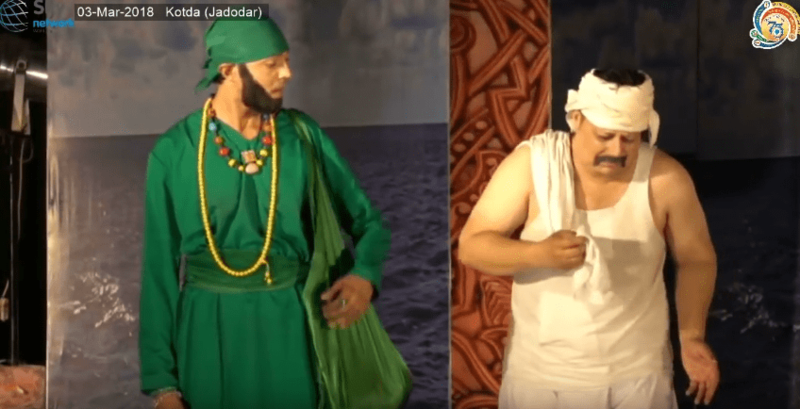 Its well documented and historical known fact that the Satpanth’s preachers wanted to convert the community to Islam and hence these false interpretations were presented to the unsuspecting Hindus, who unfortunately accepted them as true. With respect to informing Shri Jai Mangal Swami, please be informed that Jai Mangal Swami is much more learned and respected than you and me. Not only Jai Mangal Swami, entire Hindu community, including the Shankaracharyas preach Agni Sanskar. Are they all wrong? How can you believe on the interpretation of shlokas done by a Muslim? 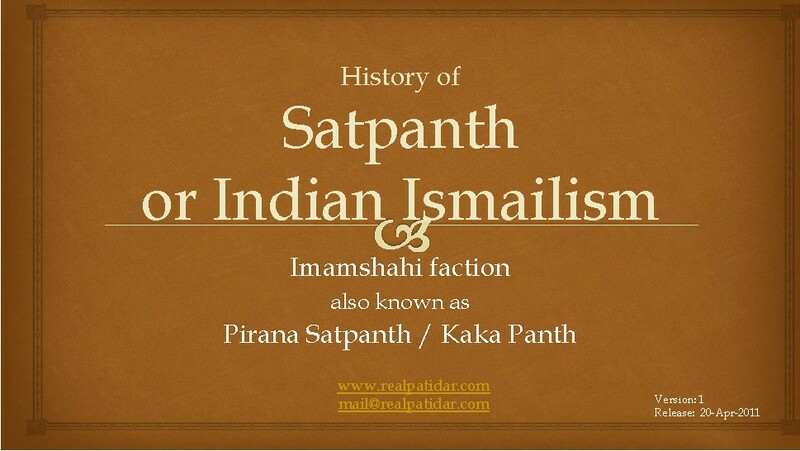 If you really want to know the true history and insights of Satpanth, may I request you to please read (with an open mind to accept the facts as it is) http://www.realpatidar.com/a/series33. I am not forcing anything upon you. If you want to know the truth, then the above link is all you may need. But if you want to believe what you believe is wright, then you may happily remain in the false world.